One of our clients Diago had a sciatic nerve that had been giving him problems on and off for a couple of months. Every time it seemed to get better, it would come back and force him to take time off work and stay home, unable to do anything. The last time this happened, a friend of his asked if he ever considered getting Myotherapy, and told him about Advanced Myotherapy. Diago was very skeptical, but willing to do and try anything to get rid of the pain, so he booked in a 1 hour session for the very same day. Diago said his first treatment reached muscles that he didn’t even know about. Treatment involved deep tissue and trigger point therapy, dry needles and also cupping. Just one day after treatment, and Diago already felt like another person and could walk properly without any nerve pain. Understanding sciatica is key to helping heal faster and prevent the painful condition returning. So many people suffer needlessly with sciatica and with the right knowledge, it can be significantly reduced and reversed, even “remedied” with self care education, Myotherapy and Remedial Massage. Sciatica is the experience of sharp and shooting pain through the glut and down the leg, which can frighten a lot of people who do not fully understand what it is caused by. Sciatica arises when there is an impingement of the sciatic nerve which is compressed by the discs of the lumber spine. How these discs come to close in and compress the nerve to create referred pain, is in being restricted by tight fascia surrounding the discs! That is how simple this condition is, and unfortunately so many people not knowing this will turn to medication. The problem with pain drugs is that they do not treat the underlying cause of the pain as Myotherapy and remedial massage do. There are a number of leading factors that contribute to the onset of sciatica, which are assessed and addressed at our clinics. Understanding the biomechanics of the body is something we wish to instil in our clients, so as to facilitate long lasting results, through self awareness and lifestyle changes. 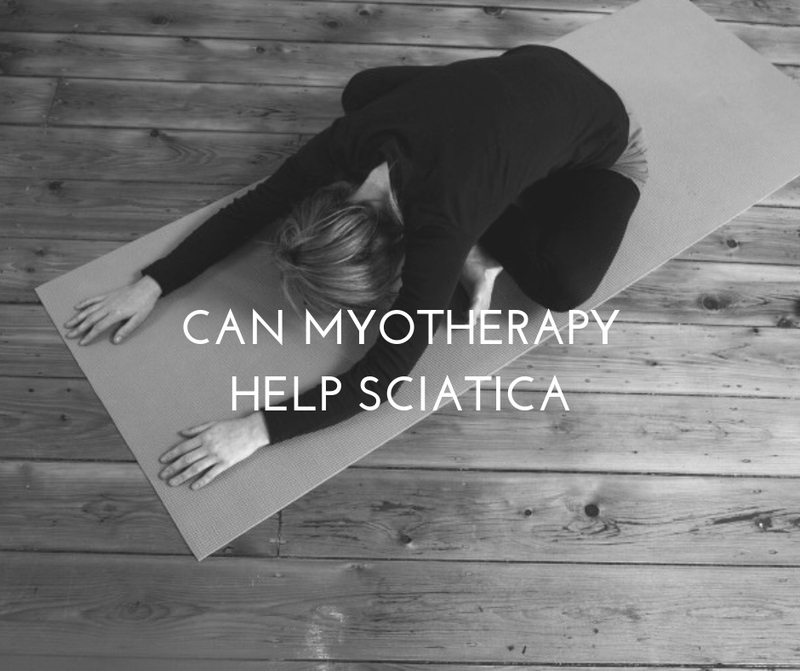 Below is a few ways Myotherapists promote the recovery of Sciatica. You can also check out a previous post of ours with “6 Stretches to Reverse Sciatica” here. Some of the most important changes you can begin with today include regular (daily) corrective stretching. Focusing on the legs (particularly hamstrings) and gluts, to reverse sciatic nerve pain is essential to reduce pain and bring relief. Secondly, simply using a ball to lay on underneath the affected glut and hip, can help with “trigger point therapy”. Holding position where the pain is for several minutes or until fully released, can bring instant release. The key to getting results with such self treatment at home is in holding both the stretches and the pressure of the (tennis sized) ball under the body for long enough to allow for full release. The trick can be not to release the stretch or remove the ball before this relief comes, so as to avoid “activating” the pain further. To avoid this, simply be gentle with yourself enough to be able to hold the position long enough for it to be effective in allowing the tight muscles causing the pain to fully “let go”. Another incredibly effective self care method of treating sciatica is by applying heat (a wheat bag) to the area. Heat relaxes the tight muscles enough to let them soften to release the affected area, and take the pressure off the discs compressing the sciatic nerve. Along with these few very effective practical steps you can take at home, we use Myotherapy and Remedial Massage to manipulate the the surrounding area to allow softening and restoration of a better range of motion for less pain and restriction. This is the key to recovery when it comes to many neuro-musculo-skeletal conditions in the body that Myotherapy specialises in treating. Many of our clients presenting with such acute or chronic pain like Sciatica, opt for our Maintenance Care Package. This is a series of 4 x 1 hour treatments for the cost of 3. This is not only designed for preventative care which most of our clients aim for, but works well for injury recovery. As a new client of Advanced Myotherapy, you receive $25 off your first online booking, however if you would like to upgrade in clinic to this package, treatmet cost is reduced from $120 to just $90 for 60 minutes. Find out more about the Maintenance Care Package here.